Two-thousand-year-old Atticus may have outwitted and outfought everyone from Odin to Bacchus, but in this eBook original, he’s about to discover what comes around when you go around messing with gods. Six years into the training of his beautiful apprentice, Granuaile, a large crow swoops down and transforms into none other than the Morrigan, a goddess who insists that Atticus come with her at once. He must leave his apprentice behind, along with his Irish wolfhound, Oberon - and he must also leave his sword. Thanks to his relationship with the ancient Druid Atticus O'Sullivan, Oberon the Irish wolfhound knows trouble when he smells it - and furthermore, he knows he can handle it. 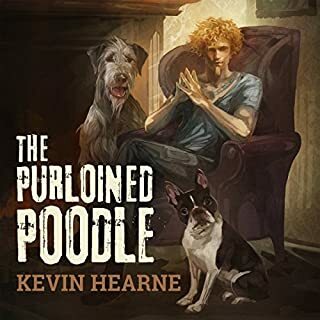 When he discovers that a prizewinning poodle has been abducted in Eugene, Oregon, he learns that it's part of a rash of hound abductions all over the Pacific Northwest. Since the police aren't too worried about dogs they assume have run away, Oberon knows it's up to him to track down those hounds and reunite them with their humans. For justice! And gravy! 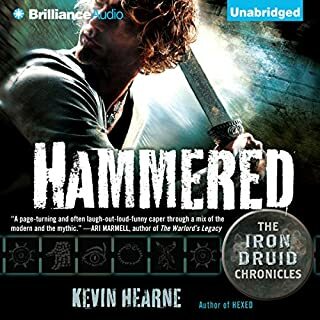 For nearly 2,000 years, only one Druid has walked the Earth - Atticus O'Sullivan, the Iron Druid, whose sharp wit and sharp sword have kept him alive as he's been pursued by a pantheon of hostile deities. Now he's got company. Atticus' apprentice, Granuaile, is at last a full Druid herself. 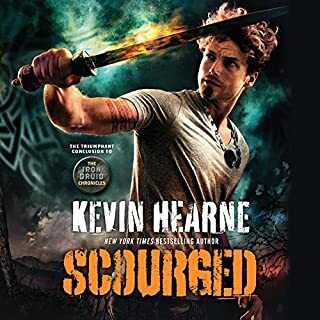 What's more, Atticus has defrosted an archdruid long ago frozen in time, a father figure (of sorts) who now goes by the modern equivalent of his old Irish name: Owen Kennedy. And Owen has some catching up to do. 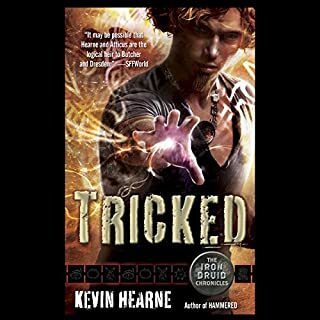 The ancient gods are alive and well in the modern world in this hilarious, action-packed collection of original short stories featuring Atticus O'Sullivan, the handsome, tattooed, 2,000-year-old Irishman with extraordinary magic powers from Kevin Hearne's New York Times best-selling Iron Druid Chronicles. For a 2,000-year-old Druid, Atticus O’Sullivan is a pretty fast runner. Good thing, because he’s being chased by not one but two goddesses of the hunt - Artemis and Diana - for messing with one of their own. 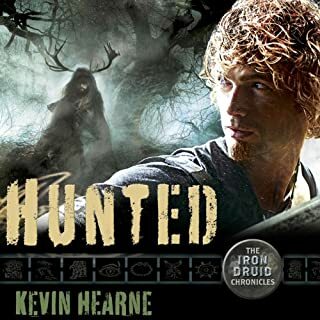 Dodging their slings and arrows, Atticus, Granuaile, and his wolfhound Oberon are making a mad dash across modern-day Europe to seek help from a friend of the Tuatha Dé Danann. His usual magical option of shifting planes is blocked, so instead of playing hide-and-seek, the game plan is...run like hell. Can’t wait to begin the next book in the chronicle! 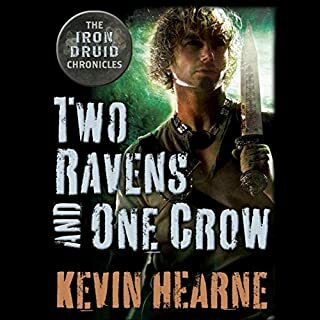 After 12 years of secret training, Atticus O’Sullivan is finally ready to bind his apprentice, Granuaile, to the earth and double the number of Druids in the world. But on the eve of the ritual, the world that thought he was dead abruptly discovers that he’s still alive, and they would much rather he return to the grave. Having no other choice, Atticus, his trusted Irish wolfhound, Oberon, and Granuaile travel to the base of Mount Olympus, where the Roman god Bacchus is anxious to take his sworn revenge - but he’ll have to get in line behind an ancient vampire, a band of dark elves, and an old god of mischief. When he’s not vanquishing villainous gods or dodging demons, 2,000-year-old Druid Atticus O’Sullivan can be found behind the counter of Third Eye Books and Herbs in modern-day Tempe, Arizona, literally minding his own business. 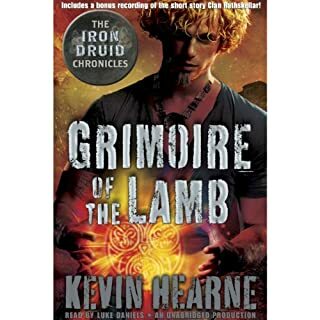 But when an evil sorcerer - and amateur shoplifter - snatches an ancient Egyptian tome of black magic, The Grimoire of the Lamb, Atticus is not sheepish about pursuing him to the ends of the earth...or at least to the Land of the Pharaohs. Druid Atticus O’Sullivan hasn’t stayed alive for more than two millennia without a fair bit of Celtic cunning. So when vengeful thunder gods come Norse by Southwest looking for payback, Atticus, with a little help from the Navajo trickster god Coyote, lets them think that they’ve chopped up his body in the Arizona desert. But the mischievous Coyote is not above a little sleight of paw, and Atticus soon finds that he’s been duped into battling bloodthirsty desert shape-shifters called skinwalkers. 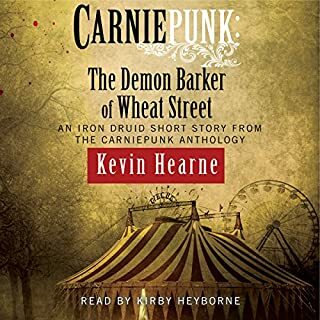 The ancient Druid Atticus O’Sullivan gets more than greasy corn dogs and flat soda when he visits a carnival in Kansas to which his apprentice, Granuaile, drags him. He runs across a barker with a strange power over the crowd: attractive women leave their men and disappear into an unmarked tent, never to be seen again, and the men wander away, forgetting that they ever had girlfriends or wives. When Granuaile falls under the barker’s influence and enters the tent, Atticus isn’t about to forget it and move on. 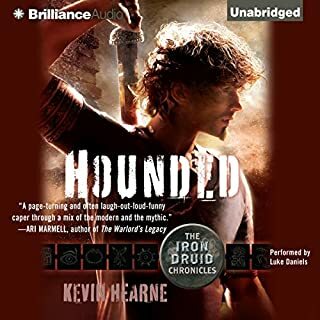 A Prelude to War by Kevin Hearne: After an old friend is murdered in retaliation for his mercenary strikes against the oldest vampires in the world, Atticus O'Sullivan must solicit the aid of another old friend in Ethiopia if he's going to have a chance of finishing a war he never wanted. Meanwhile Granuaile MacTiernan starts a private war of her own against Loki, the lord of lies, and if it brings Ragnarok early - so be it. Not My Circus, Not My Monkeys by Delilah S. Dawson: The number-one rule of the circus? Don't kill your volunteers, even accidentally. That's how young magician Criminy Stain ends up on the run in a forest, where he meets a beautiful woman holding a bucket of blood. But is Merissa the answer to his prayers - or the orchestrator of his ruin? This is a compilation of 3 stories. Here is my breakdown.. 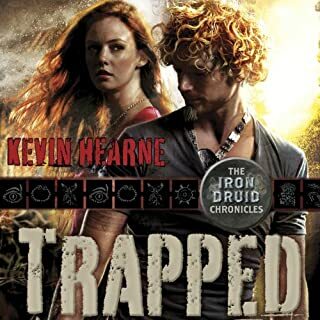 The first story is from the Iron Druid series. If you haven't read the Series do not start with this as you will have no idea what is going on. 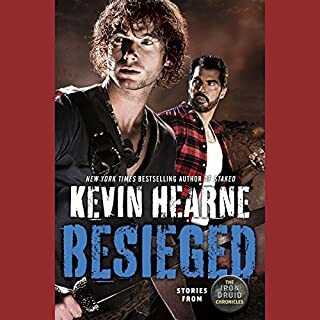 This story is very good as I would expect from Kevin Hearne but with one major issue. The problem is that this is not really a novella as advertised. It is more like the first few chapters of the next novel. It's still really good but not a complete story by a longshot. It takes off from the end of the last book and stops abruptly with no closure whatsoever. Unlike Two Ravens and One crow which had a distinct beginning, middle and end this is just a beginning and middle with a brief pause and no closure. That is very frustrating since you really wind up wanting to know what happens next. It is still worth the credit, though. Good news is Luke Daniels did the narration so the voices are the same we are used to hearing. The last novella (in Carnie punk .. don't bother with) had a different person reading and it messed the whole thing up for me. Also, the author's Granuiale POV is much better than in previous books. I think he is starting to figure out how to write from her point of view. 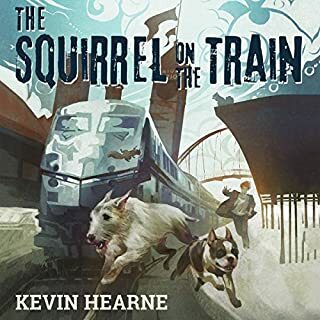 Other than that it is great to hear from Kevin Hearne. I hope he doesn't spend too much time writing Star Wars books and stays with this series. The second was about a character named Criminy Stain. It seems to be from an ongoing series as well. The story was good and while quite a different world had a writing style that is very reminiscent of Anne Rice. The only real drawback was that if you haven't read the series this is based on there is a lot unexplained. Still I could follow it and it kept my interest. The main character is a bit of a douche which made it less enjoyable but still not too bad. The narrator did a good job and definitely added to the quality of the story. The third story by Chuck Wendig really did not capture my interest. The narrator did a decent job but the story didn't pull me in me at all. I am glad I heard this story as I almost bought a book in this series a few weeks ago. Hearing this one saved me from wasting a credit. So, 2 out of 3 stories were good. 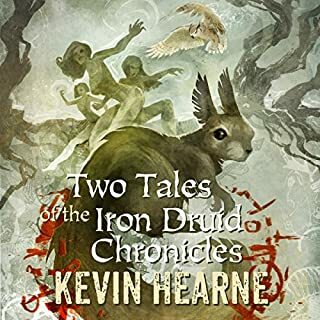 That's better than what most anthologies manage and if you are an Iron Druid fan you will want this one just to get a head start on the next book. The 3rd story combined with the lack of a strong finish to the Iron Druid story lead to the lower scores for story. All 3 had good narration in my opinion. If you follow any of these series this is worth a credit. If you are new to all 3 I'd pass as you will just be confused. Like most reviewers, I found the first 2 stories to be enjoyable, but could not maintain interest in the third story for very long. The problem isn't the writing, it's more that the third story doesn't seem to fit with the other two in terms of ethos. 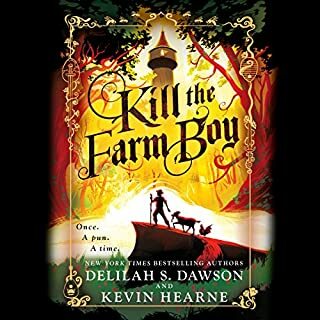 It could be argued that the Kevin Hearne and Delilah Dawson stories are also very different in character, but somehow the feel is the same. All the stories are good, I think. If the last story had been a part of a different grouping, it might have been easier to connect. I just haven't made myself go back to listen to the third to verify if my hypothesis is true. 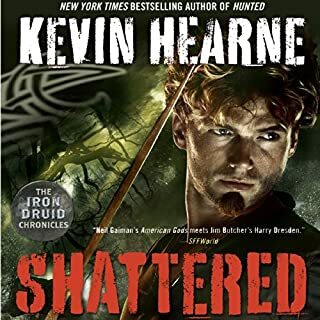 Anyway, love both Kevin Hearne and Luke Daniels (and Oberon, of course). Excellent nibble of cheesy bits. Haven't heard of the other two others, I was here for the iron Druid and Oberon! Found out I may like a full wheel of Dawson and or Wendig. Great listen, great narrators! Listen to "A Prelude to War", skip the rest. 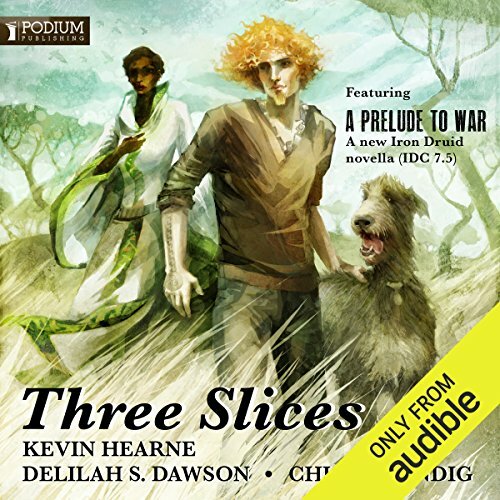 I'm giving this four stars for the Iron Druid Chronicles story, "A Prelude to War" in this collection. 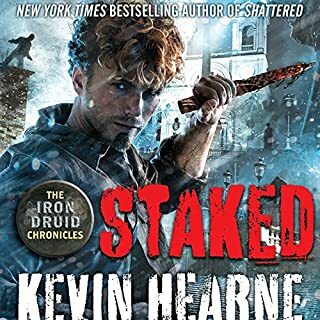 Hopefully, it'll tide me over until Kevin Hearne finishes "Staked". The other two were . . . meh. If I were to rate them each I'd give "Not My Circus, Not My Monkeys" two stars and "Interlude: Swallow" one star. I bought this for the kevin's book. I enjoyed it. I didn't know the other two, I ended up really enjoying Delilah's short story. But just could not get into Chuck's book. I am not saying its bad I just don't know the character and it didn't draw me in. Bought the book for the Iron Druid. I enjoyed it and hope it is a "prequel" to the next full book as it left questions to be resolved. The 2nd story was a new author to me; I liked it and looked for other works. The last story was not to my taste, hence the 4 star rating. I listened to this one on audio and loved every minute of two out of three of these stories. As always the combination of Kevin’s words and Luke’s voice takes me right into the IDC world. Love love love hanging with Atticus. Love Oberon (and yes Oberon I know you did it!!!). And of Granuaile is on her own journey at the present time. But I love that A Prelude to War sets up for the next book in the IDC. I for one can not wait. 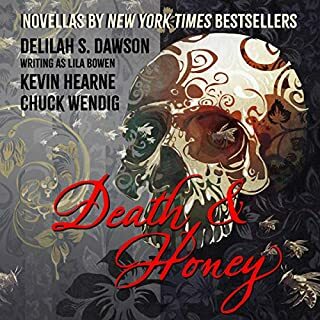 This was my first read of Delilah S Dawson and my first listen to Alex Wyndham. The combination of these two make for an awesome story that I didn’t want to end. I loved Criminy Stain I can’t wait to read more of Mr. Stain. Interlude: Swallow I just could not get into. I am not sure if it was the writing, the narrator or the point of view. But it just didn’t grab me. I purchased this audiobook from Audible.com and this review is my own opinion and not a paid review. 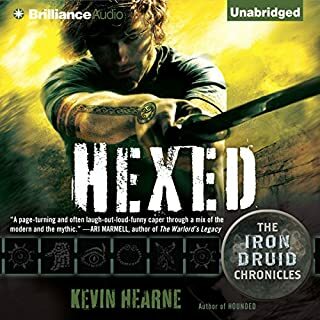 The Iron Druid short story in here is referred to later in the series (I've just finished a binge listen of the entire series) so for a person who wants the complete series, this is a good purchase. But, the other two stories were dark, grim, humorless, and a chore to listen to. This was my second time trying to listen to the entire audio book and I did actually finish the second short story this time, but have 29 more minutes to finish the third short story and won't do it. Stories 2 and 3 could use better descriptions of the people and settings. And something witty, or clever, or interesting . . . just *something* beyond dank horror and crudeness. What's the point of writing such stuff? After spending time with stories 2 and 3 I am left pondering why people would choose to spend their time reading/listening to such dark, gross, disgusting and empty stories. Baffling. I had to go back to re-listen to some of my Patrick McManus audio books narrated by Norman Dietz to clean my brain and soul with some folksy humor after these last 2 short stories.